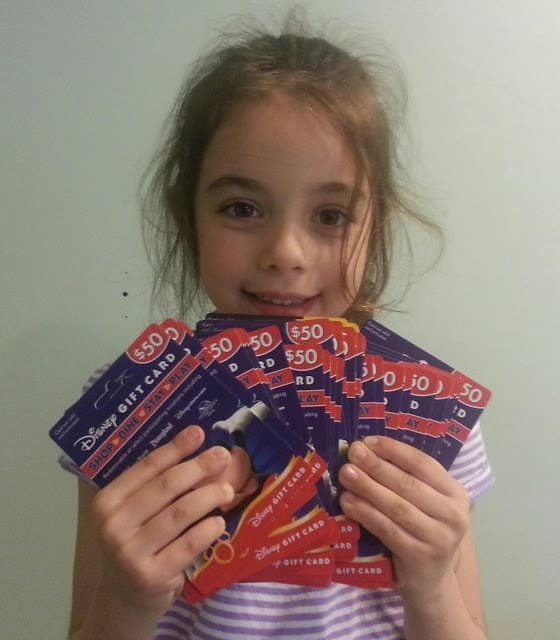 Our daughter Isabella holds the gift cards we used on last year’s trip. A Disney vacation is many things: Fun, Magical, Amazing, Memorable, and oh yes, it’s Expensive! We happen to think that a Disney vacation is worth the cost. Of course, if you can save some money and reduce the price tag, well that makes it even more worth it! A PIN code is a personalized discount offer for you direct from the Mouse. 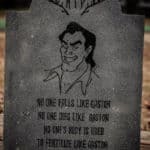 Check out our post about ways to improve your chance of getting one. Bounce Back offers are offers you get while you are at Disney that you have to take advantage of before you leave. Any resort or hotel is probably going to charge you a premium for buying everyday necessities from them. Disney is no different. Buying items like Milk, Coffee, Diapers, Toiletries, Snacks, etc., can add up. At the parks, bottled water is expensive. If you have a car, there are plenty of options for stocking up on these items. In lieu of a car, you can use a service such as Garden Grocer to do your shopping for you and deliver it to your hotel. Having these items will enable you to pack lunch/snacks, water, eat breakfast in room, etc., and that will save you money because you’ll be less apt to be buying snacks and paying for meals inside the parks! One of your biggest expenses will be your park tickets. 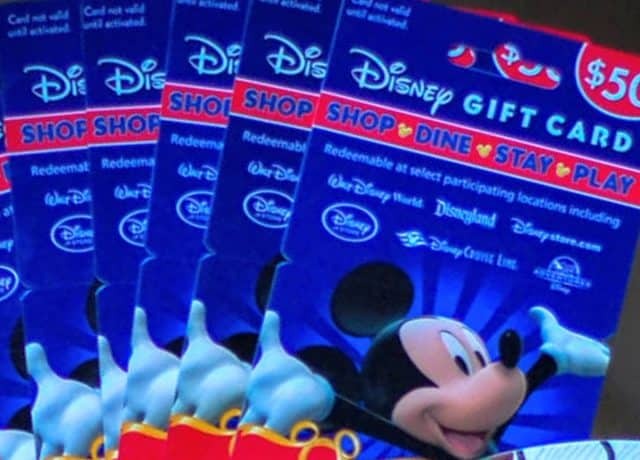 Gone are the days of the Disney tickets that never expire and can be used on return trips. Buying the right ticket type is very important. 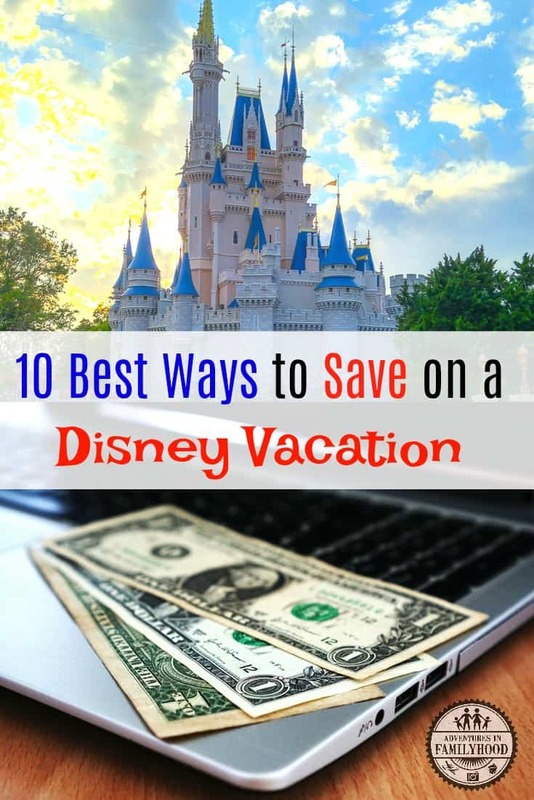 You can save money by not opting for add-ons like park hopping or the water parks if you aren’t going to use it enough for it to be worth it. Taking multiple trips within a 12-month period? Buying an Annual Pass could work out to be savings. Last year, we saved money by buying our park tickets from Undercover Tourist. The transaction was simple and the tickets arrived very quickly. I recommend using their service. For an additional savings, subscribe to the free Mousesavers newsletter for an extra discount from Undercover Tourist. There are a few places I know of where you can buy Disney Gift Cards at a discount. If you have a Target REDcard or Debit REDcard, you can save 5% on every Disney Gift Card you purchase at Target. This doesn’t sound like a lot, but it can add up when you’re talking about a vacation that will cost thousands of dollars. Costco and BJ’s Wholesale sell at a 4% discount. The upside with them is the gift cards are usually in larger amounts. I wouldn’t buy a membership just to purchase gift cards, but if you are already a member, you should check your local store. How does that save you money? Well, you can use Disney Gift Cards to purchase just about anything and everything related to your Disney Vacation. They can be applied to your Disney Resort Hotel, Restaurants, Gift Shops, Park Tickets, and more. Gift Cards can also be a budgeting strategy. Purchase gift cards ahead of your trip as a way to set limits on what you’ll spend on food or souvenirs. 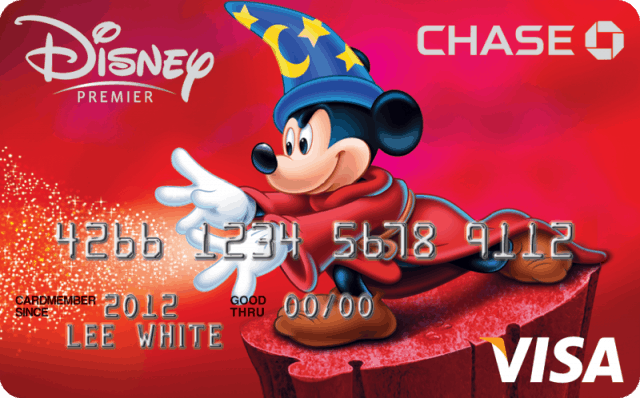 If you have the Disney Rewards Visa credit card, Disney will reward you with points on purchases that can be used to get a rewards card usable at Disney, just like a gift card. 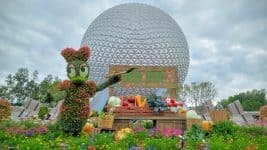 Disney will also run incentives or promotions for extra savings or benefits for using your Disney Rewards Visa for booking your vacation, or for making your Disney purchases. Other credit card rewards programs can help you save money on Disney, or your trip related expenses such as airfare or car rental. Just be sure to use those credit cards wisely! Paying interest on balances just cancels out the perks. Sometimes being a member of a company, organization, or signing up as a preferred customer can get you discounts. AAA members can get discounted rates. Disney will offer discounts for Military, or sometimes other Government or Civil Servants. 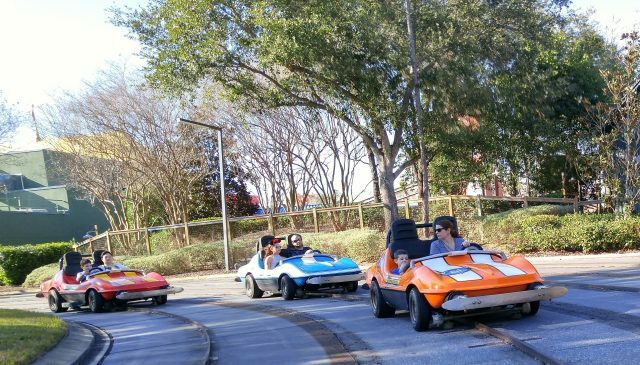 Being an annual passholder, a Florida resident, or a DVC member can get you discounts as well. You can also check with your employer to see if they have any special programs or corporate discounts. Bottom line: When in doubt, ask! We live over 1100 miles from Walt Disney World. Sometimes, the situation dictates that we fly down to Florida to maximize our time at the resort and be able to make it home to get back to work or other commitments. When time permits, driving the family those 1100 miles is actually cheaper, even with splitting the drive between two days and stopping overnight at a hotel. The car trip can also be a memorable adventure in and of itself, which adds to the vacation experience. You may live closer or further than we do, but if driving is a possibility for you, I would give it some thought. Here’s a fly or drive calculator you can use to help you decide. We’ve also found that we can save money on flights by driving part of the way and flying the rest. 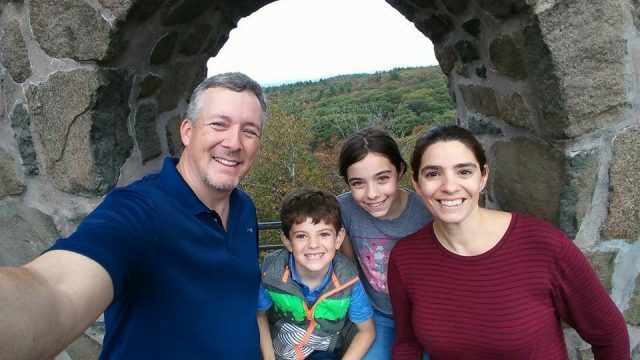 For us, driving about 5 hours to the Maryland/Washington, DC area has saved us over $1000 on flights for our family of 4, even after taking into account gas, tolls, parking and other expenses. That’s not too bad a trade off to be able to get to Disney that same day. If you’re like us, your work schedules don’t allow you to just pick up and go on vacation whenever you like. Unfortunately, as a result, we predominately travel during the busiest times of years, such as summer and school breaks. 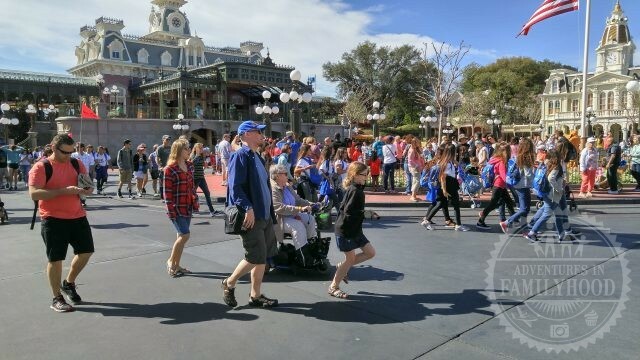 If you can make it work, traveling to Disney during off-peak times can not only save you money, but it can also be more relaxing as there are less crowds to contend with. Off-peak used to simply mean whenever school was in session. 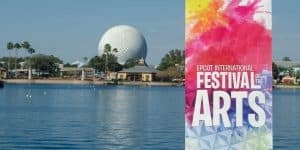 Now with so many special events going on at Disney, it’s a bit harder to find the slower days. But they are there if look. A travel agent that specializes in Disney vacations can be very helpful in pinpointing those windows. 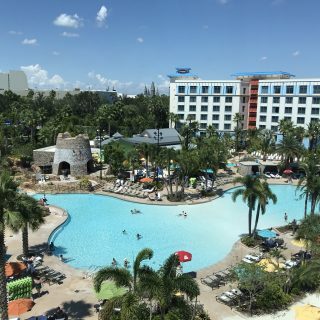 Disney room rates are lower and they tend to offer more deals during “off-peak” times of year, and you’ll generally find that airline fares are cheaper as well. 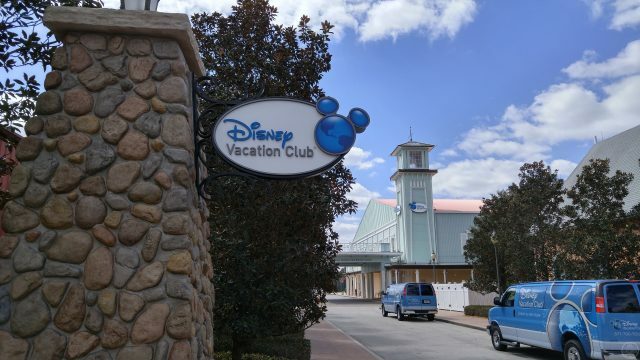 The Disney Vacation Club is Disney’s way of doing timeshare. It may not be for everyone, but it certainly saves us money every year. We just paid off our loan and for the next 35 years we only have to pay our dues and maintenance fees. 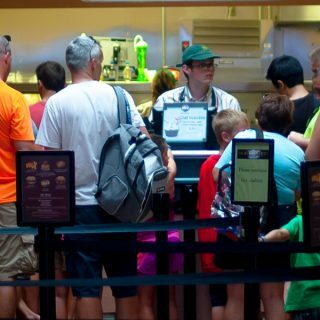 But the savings is just one of the reasons we love our DVC. If you take a Disney vacation at least every other year, and prefer the moderate or deluxe hotels over the values, I strongly recommend taking a look at joining DVC. At once every three years, you might consider it. Any longer than that between trips is probably not often enough to justify the cost, in my opinion. Did any of your best ways to save not make our list? Let us know! Great tips! Thank you! We are west coasters, so we drive down to Disneyland which saves a ton of money and pack a cooler so we aren't wasting money on the way down on food. We also buy little things here like Glow Sticks from the Dollar store so the kids have something for the night shows without spending a fortune. Thanks, Meranda! Those light up toys are great, but they're also very pricey! And when everyone else seems to have them, it makes it very hard to say no to the kiddies! I agree that if you have something to give them, it makes things a lot easier! Lots of great tips in this post! We are going to Disney in December and I was very happy to save money on our trip just by buying Disney gift cards at Target and using our Red card to save 5%. We just paid our trip off this weekend! Thank you, Holly! Buying a couple of gift cards at Target has become a weekly ritual for me! That 5% adds up! Great tips and thank you so much for sharing. you may also find a fantastic services on Disney. The AAA discounts are no longer offered, same for teacher discounts. 🙁 Believe me, I tried! We'll look into the AAA discount offer so we can update the post. However, teacher discounts are offered at Disney's Swan and Dolphin hotels. We just used it in February. Also Disney's Downtown Disney Good Neighbor Hotels began offering a teacher discount this Spring. While it's not on property, it is close enough to the magic and could help you save a couple bucks! How do you use gift cards to pay for your tickets and resort room? Any tips on using them? I am not used to gift cards. Taking a 6 year old to Disney World. Hi Kris! There are a couple of ways to pay for your tickets and resort room using gift cards. The direct approach is to call Disney to make your payment and give them each gift card individually. That sounds like a pain for you and the person on the other end, right? Another way is to transfer the balances on the gift cards into as Disney Vacation Account as you purchase them. 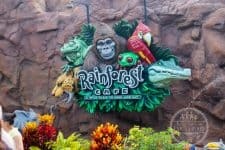 I'm updating the gift card section of this post with a link to our post on Disney Vacation Accounts. You can use those accounts to pay for your room, tickets, and dining plan. 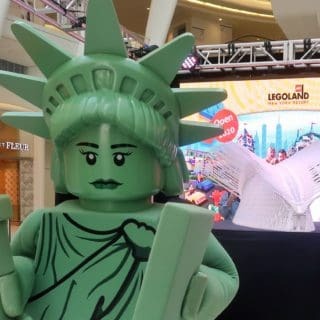 Does Undercover Tourist offer 1 day tickets? Yes, Lisa. Undercover Tourist does offer 1 day tickets. However, I don’t usually see the 1 day tickets being sold at a discount. Sometimes, they are even higher than Disney’s prices for some reason.